In 1806 a band of O’Kellyites came to what then was southern Clarke County in Georgia. 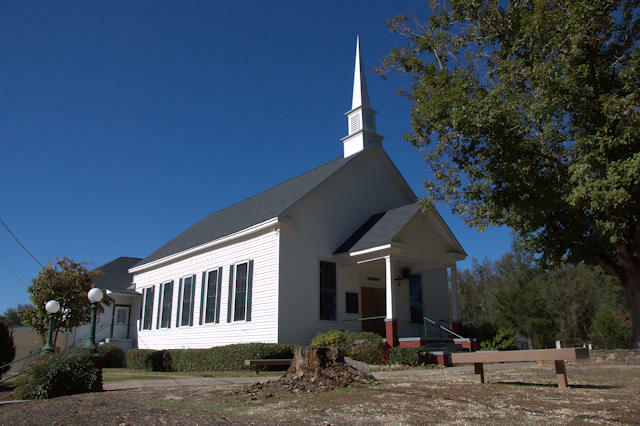 In 1807 they built a small log structure and called it “Old Republican.” It was named after a previous North Carolina church that had complete autonomy. It is believed that the locals here were helpful in constructing the first edifice by providing the lot that it sat upon. With the influence of Campbell and Stone, the locals became accustomed, over the next thirteen years, to being called first O’Kellyites, Campbellites, Stoneites, and Bible-totin’ Christians, but finally decided to answer to the popular Christian connotation. For the past 183 years, Antioch Christian Church has been referred to as the Mother Christian Church in Georgia—the oldest. However, the grounds that Old Republican sat upon have made it a hallowed place of worship for the past 200 years. The first little church, nestled high on a hill among the trees near the banks of Rose Creek, was built around 1807. The second church building was erected in 1820. The third and present was constructed in 1885.